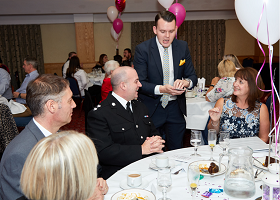 Do you know someone who makes a positive difference to the community? Recognising someone who has gone the extra mile to take care of their garden. Nominees should be 18 years or under on the closing date. 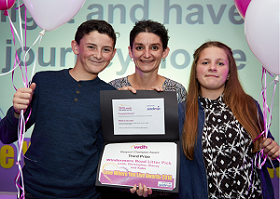 The award is for a young person who has achieved success in their chosen activity through dedication and hard work, or who has made a difference to their community or other individuals. For an individual or group who have made a contribution to arts and cultural activities with their community. The activity must have made a difference to their neighbourhood or made the arts more accessible. This could include workshops, public art, exhibitions or performances. For community groups that make a difference to their whole neighbourhood. For a group or individual who have stood up to anti social behaviour in their community or developed an initiative that has led to a reduction of anti social behaviour in their neighbourhood. For an individual who has gone the extra mile and shows exceptional commitment to their community. It could be for someone who has worked tirelessly to improve a community building or place or who go out of their way to support those most vulnerable in their community. For a group or individual who have embraced the digital platform as way to promote their local community group. This can include but is not restricted to developing a website, using social media or creating a video. For someone who has gone the extra mile working with an older persons group. It could also be for someone who has worked with a specific group or individual and has helped them with training, such as IT or to get more involved in social activities. The deadline for nominations is Friday 9 August. The final will take place at Cedar Court (Wakefield) on 24 October 2019.